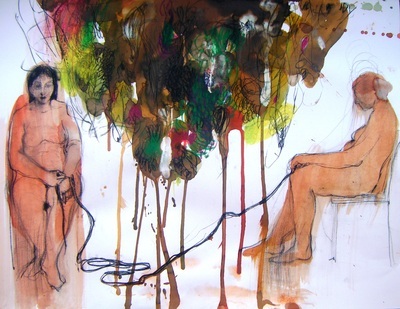 The female form is basic in my work because it serves in exploring various aspects of the female psyche. As artists often do, I too, tend to put down on paper or on canvas things which I am ‘’fighting’’ with, trying to make sense of what is happening around and inside me, so I suppose the female forms appearing in my work sometimes represent me. How the female deals with life, her view of the world presents endless opportunities to develop subject matter as well as the body itself which is a battle ground and a temple at the same time. 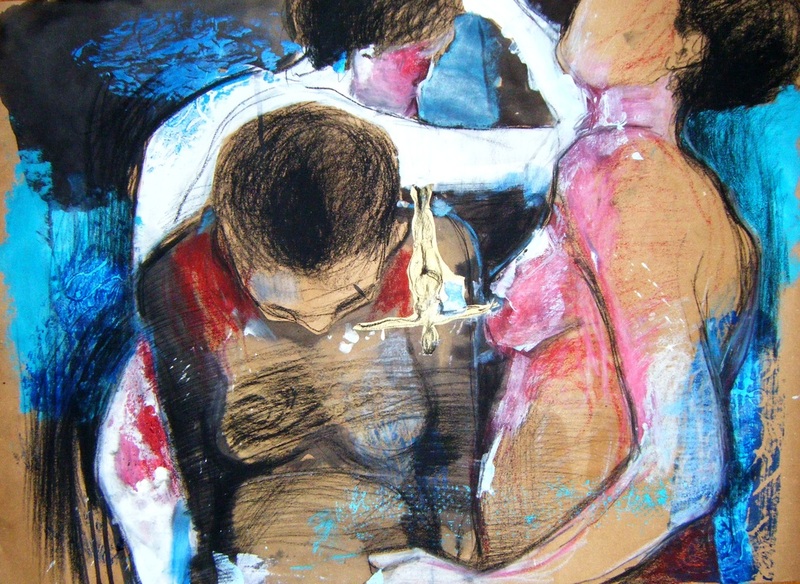 The human figure and colour have been my main interests throughout my work. Inspiration can come from anywhere and ideas brew internally and usually surface unexpectadly. 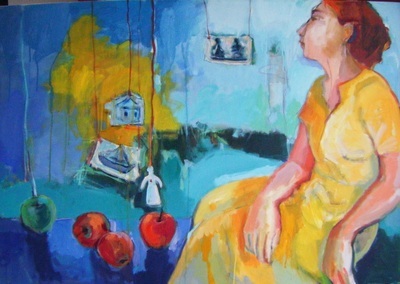 The work of Cezanne, Matisse and American expressionism have influenced me from early on. Fotini Hamideli was born in Greece and studied art in the U.S. She is involved in teaching art lessons and collaborates with the Central Public Library of the city of Veria, organizing various events, lectures and art programs directed to children. She does graphic work designing posters, brochures and magazines and has written articles on art. 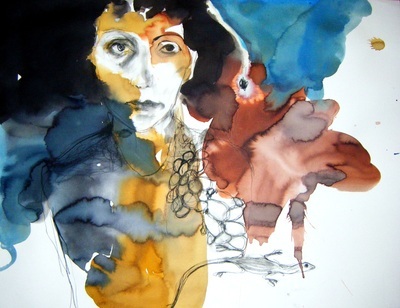 Her artwork has been published in several art publications. In Greece she first exhibited in “Diagonios”, a gallery in Thessalonici, directed by Dinos Christianopoulos, a famous Greek Poet. 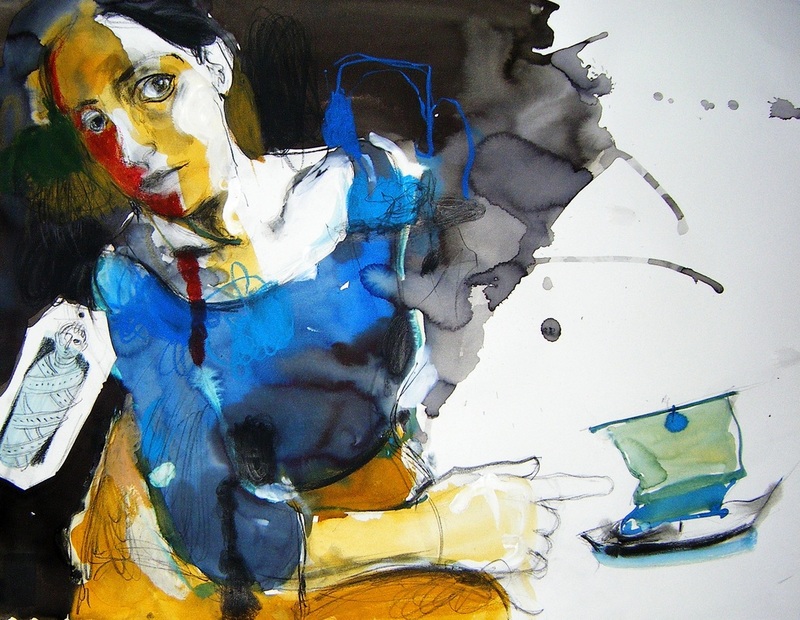 Fotini Hamideli has been showing her work since 1978, participating in over 90 group shows in Greece,Germany,Italy,Spain and several other countries.She has had fourteen one woman shows. Studies: 1973-1975 Studies in Eugene Tonoff’s studio, Providence R.I.
1979 BFA Rhode Island School of Design – U.S.